At the forefront of Jewish education in Montreal since 1896. 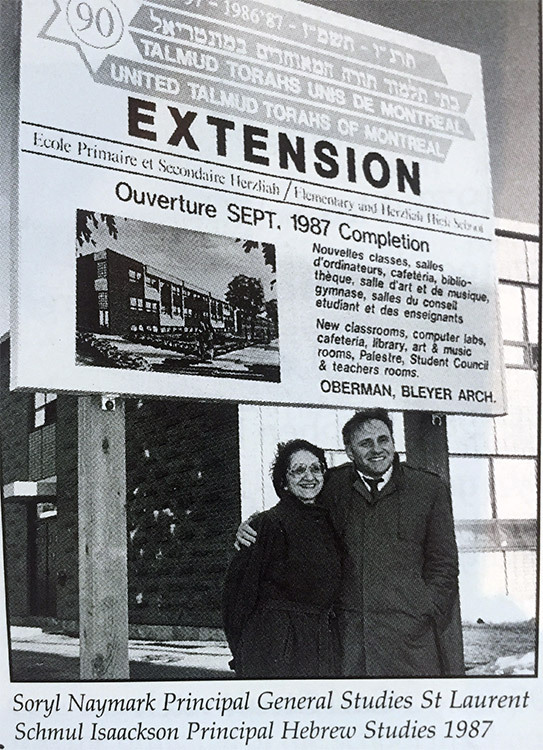 Talmud Torah | Herzliah has stood at the forefront of Jewish education in Montreal since 1896. We are a microcosm of the diverse Jewish population in the world today and celebrate this rich cultural mosaic each day. Armed with strong skills in three languages, our graduates are uniquely qualified to confidently take their places in the multilingual, multicultural society in which they live. This cosmopolitan environment is what makes us unique in the marketplace. Our rigorous trilingual academic program is enhanced by a strong Jewish studies program that instills Jewish values, Jewish pride and Ahavat Yisrael into every student. We challenge today’s young minds to become tomorrow’s creative and innovative Jewish leaders. Our graduates attend prestigious centres of higher education, leading the way in their chosen areas of expertise as confident, engaged, contributing members of the Jewish and global communities. We are charged with preparing our children and our children’s children for their future, just as our parents and grandparents did for us. Intrinsic to our essence is an understanding that education is continually evolving. Today’s young people are living in a rapidly changing world. It is our responsibility to ensure that our students have access to a dynamic educational experience that reflects these changes and challenges, and offers them all the necessary tools to be the very best that they can be. Our graduates must be equipped to succeed beyond today’s world and well into the world of tomorrow in a facility that mirrors these values and goals.